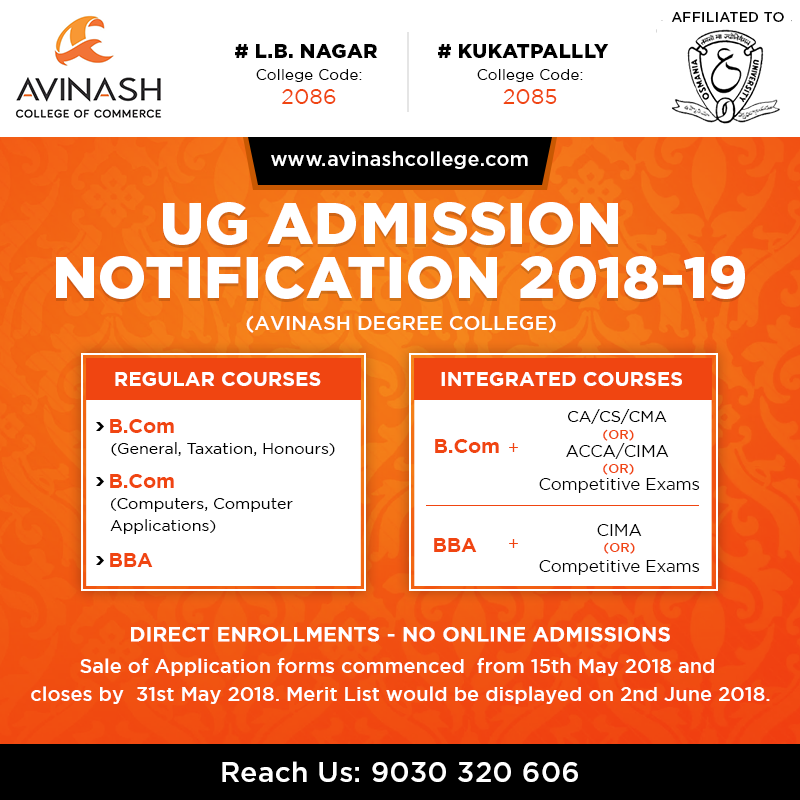 Avinash Degree College UG Admission Notification 2018 – We invite applications from eligible candidates for admission into Regular Courses and Integrated Courses for the academic year 2018 – 19. Applications can be obtained at both our L.B Nagar & Kukatpally Campuses. Last Date for Sale of Applications is 31st May 2018. Merit List would be displayed on 2nd June 2018. Please be informed that Avinash College is permitted to take direct admissions and students need not apply through DOST – Online process. For more information call us on 9030320606.